The Church: Who is in the Church? “Who’s on first? What’s on second? 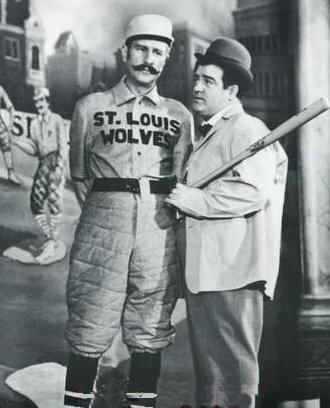 I don’t know’s on third!” These are well-loved lines from the old Abbott and Costello skit. They go round and round trying to explain and understand the players on the baseball team they are excited to watch play. But as the skit goes on, the frustration level (and humor) rises. These two men are saying the same things to each other but cannot clearly communicate who is where or who is doing what. In many churches this is the case…no one really knows who is where or who is doing what. We wonder, “Who is the leader?” and “What is my role on the team?”. This issue is funny in a skit, but it is definitely not what God intended for His church. We have already discussed what the Church is and the difference between the Universal and Local church. Today we will look at the structure and organization of the Church. We will see there are four “roles” or “players” in the church: a Head, a body, appointed leaders, and appointed servants. As we discussed in the first post of this series, the Church is an assembly of people built upon a common confession of Jesus Christ as the Savior and Lord of their lives, and the recognition that they ultimately belong to God. In Ephesians 1:22-23, Paul gives a word picture of the church as a body. In vs. 22 he defines for us the first “player” in the church: The Head, Jesus Christ. As with any body, the head is the most important and vital part. It is the leader, director, and guide for the rest of the body. If the head wants to walk, it gives commands and directives for the legs to do so. If the head decides it is necessary for the body to eat, it gives the command and the hands and mouth carry out the objective. The same is true in the Church. As the body of Christ, believers are called to carry out and obey His commands and directives. That means the second “player” in the Church is the body itself. In vs. 23 of Ephesians 1, we see that while Christ is the head, the believers in Jesus (the Church) is the body. The body is made up of individual parts that all have one common affirmation, Jesus Christ as Lord and Savior (Matthew. 16:16-18). The body is also made up of individual members that have differing functions and roles (1 Corinthians 12:12-27), but the crux of Paul’s argument here is that each body part is vitally important to the health and operation of the entire body (1 Corinthians 12:25). This is the case because it is God who has placed each part in the body (1 Corinthians 12:20). Finally, the body is called to submit to its leaders (Hebrews 13:17) and imitate their lives (Hebrews 13:7). Which brings us to the conclusion that there must be some leadership within the body itself, subjective to the Head, Jesus Christ. So who are these leaders? The appointed leaders in the church are listed in Ephesians 4:11-12. There were first apostles, the men who were chosen by Christ personally (Mark 3:13, Galatians 1:15-17) and saw the resurrected Christ (Acts 1:22-24, 9:4-6). Secondly, there were prophets, men who spoke the Word of God laying the foundation for the church for ages to come (Ephesians 2:20). These first two leadership positions were chosen by God to clearly proclaim and accurately record His Word for His Church. Thirdly, Christ gave evangelists. These are Christian men specially gifted in proclaiming the Gospel of Jesus Christ and privileged to be used by God in bringing others to Him. Finally, Jesus gave the church pastors/teachers to lead His flock. They are also called elders throughout the New Testament. They were appointed in every church (Acts 14:23, Titus 1:5), but only if they were qualified (1 Timothy 3:1-7, Titus 1:6-9). They were appointed to rule (1 Timothy 5:17), oversee, and shepherd the body of Christ (1 Peter 5:1-2, Titus 1:9). But God did not leave these leaders alone to lead and care for the body. He gave the fourth and final “player” in the church: appointed servants or deacons. 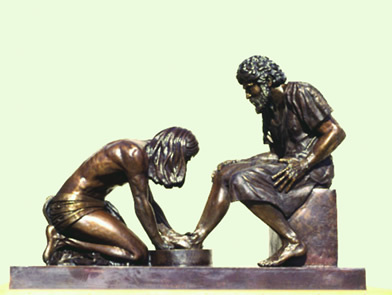 We see in Acts 6:1-6 the first choosing of servants for the benefit of the body. These servants are chosen by the people (vs. 2). The leaders of the Jerusalem church recognized a need in the body, found a solution, and asked the people to choose men to carry it out. However, these servants were still chosen based on qualifications (vs. 3). We see that these qualifications are further developed in the later life of the church by Paul when he writes to his disciple, Timothy (1 Timothy 3:8-13). Finally we see that these servants were chosen to serve (vs. 2-3). These servants performed there ministry in conjunction and cooperation with the leaders, for the body, and in obedience to the Head. So who’s the head, what’s the body, and where are the leaders and servants? God did not leave the structure and organization of the church up for grabs or debate. He clearly shows us in His Word who is the ultimate Head (Jesus Christ), who makes up the body (all believers) and how the body is to be led (pastors/teachers) and served (deacons). Stay tuned for part 4 of this series “The Church”. Up next: Interaction with One Another. If you missed part 1: The Church:What is it?, or part 2: The Church:Universal vs. Local, read it here!